For Catersource 2019 an “A Team” of event professionals will give their perspectives on how food, decor, and experience combine to create the perfect event. We hope you’ll come to this super powered, star-studded session on Sunday morning, February 24 to meet this dream team live—and help you develop some superpowers of your own. The marriage between food and decor is more important than ever before, as consumers seek “experiences” in all aspects of their lives. How do you achieve this in your planning? Michael Stavros: Our most successful events involve collaboration and communication at the earliest possible stages of ideation and planning. Our culinarians LOVE to be a part of the creative process, especially when they feel respected and heard by the team leading the project. That’s also why we give them opportunities (and budgets!) for culinary research & development. This year we will develop our own Client Advisory Board, inviting forward-leaning planners to experience and help refine our team’s new F&B concepts. David Merrell: As an event designer, it is more important than ever that we look at the customer experience holistically. We are expected to immerse guests into an experience. The F&B experience is crucial to creating that lasting impression, and the presentation of that experience is equally as important. Joe Mineo: Our goal as a team is to merge the creative ideas and concepts coming from the culinary and the design teams together seamlessly. I have found sharing ideas, and lots of conversation early in the design process lets everyone play off of each other and helps the overall event concept come alive. Kristin Banta: When designing any event, my mission is to create a design that merges all mediums, exploring the limits of what is possible as it relates to each sense in order to create a compelling guest experience. Both the cuisine and the cocktail program should always be in alignment with the overall event concepting and design. They should have an interactive quality, they should be polarizing, and they should successfully articulate the “story” behind the event, both visually as well as how it is interpreted by the palate. No one element can transport the guest—it is truly the symbiotic relationship between all sensory elements that can successfully transport and they must thereby be intertwined and not independent of one and other. Nathaniel Neubauer: From a catering perspective: engaging in the design process from the ground up. Approaching culinary, beverage, and overall menu design and creativity—coupled with the design process as opposed to parallel to—then reactively trying to find a way to fit them together. What is your personal favorite example of a “cohesive” event? Michael Stavros: So. Many. Events. A stand-out is a “grand reopening” of a venue for which we won the exclusive contract. We sectioned the venue into six spaces—three indoor, three outdoor. We sent RFPs to our favorite industry partners (and competitors of one another) inviting them to design their first and second choices of spaces. Amazingly we had only one overlap of first choice. They did not disappoint—their comprehensive concepts and designs integrated their products with entertainment and environmental elements. They various concepts were truly complementary, not incongruous. We composed menus specific to their spaces. Our Culinary & Ops teams worked closely with each of them to incorporate our F&B items into their presentations. After a tightly choreographed two-day load-in, we executed a spectacularly distinct-yet-cohesive event for over 700 of our and their clients, VIPs, and community leaders. It was a testament to the camaraderie among friendly competitors in our market. David Merrell: This is a loaded question. There are so many, so I am going to a recent one. We just got to work with a company whose product is to maintain the brush and growth on highways, under power lines, etc. A core element to who they are is the elements, so we created an event that highlighted the four elements, paired them with a complete food experience and specific live entertainment based on those elements. Kristin Banta: For an event we produced which was themed “heaven and hell,” we designed all culinary concepts around radical spaces that transitioned guests from space to space, taking them on a visual and culinary journey. We began by giving each guest a choice between entering the gates of either “heaven or hell.” A distinctive culinary offering was at the entrance to each space. A ball of white cotton candy was offered by angels and smoking cocktails were offered by costumed demons. Cocktail hour was in “purgatory” with “slaves of the underworld” offering thematic bites, inclusive of a gigantic paella served from a large cast iron cauldron. The event continued through middle-earth with creatures on stilts feeding guests grapes, culminating with desserts presented in an ethereal space inclusive of floating cakes on clouds, and angels feeding guests from a golden ladder along with a room-filled with floor to ceiling desserts—an interactive interpretation of heaven. Each space successfully created guest engagement and bonding through an interactive culinary program, engaging performers and tactile and transportive space design. Joe Mineo: My favorite example is also one of the most challenging events of my 31-year career. Our client asked us to help him in producing his wife’s surprise 60th birthday party. The surprise needed to be so large that she would be left saying, ‘how in the world did they pull this off?’ In this case, we were not just working with one culinary team, we were dealing with five—because our client decided to fly in his wife’s five favorite chefs whose food she had experienced from around the world. This required an extensive amount of planning so via Skype, we worked with each culinary team (Italy, France, Vail, Pittsburgh, and Cleveland) to create five amazing food stations serving each of the chefs most specialized items. As guests experienced each of the culinary delights from around the world, through the design, décor, and signage they also understood the background stories and what made these individual chefs so special to the guests of honor. Nathaniel Neubauer: Recently with a production team, [we had] the opportunity to receive the initial inspiration/concept deck that would go to a client—prior to it going. [This] allowed us to begin culinary creative and support their presentation to the end client. As the client feedback came on the event as a whole, we were able to shift the creative quite easily with the concept, since we had participated from the start. What was the most memorable “fail” or blooper in your career? She wanted one server for her small party, so I obliged, and then went on to be the server myself (at the time I worked parties, too). I worked my tail off, and still service suffered, and my (boss’) client was embarrassed. The next day I had to tell my boss. I later called the client to offer my apology and a partial refund. She accepted both...because my boss already had given her the whole story. My boss knew I needed to learn...the hard way. She let me sweat for a day or so, but she already knew she wouldn’t lose the client over whatever I did (or didn’t do). I learned a LOT from that experience: about integrity, negotiation, and humility among other things. When my boss did give me an official chance to plan an event for another of her clients, I did it the right way...and both my boss and client were delighted. 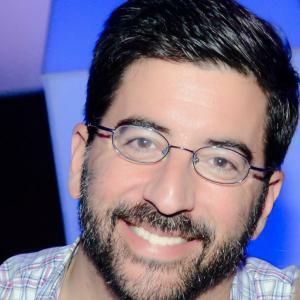 Joe Mineo: Luckily none of the vivid nightmares that I have sometimes have right before a crazy weekend of events has actually happened. But during the course of a long career…. there obviously have to be a few less-than-perfect moments. 2. The caterer that the client hired had the wrong date in his contract. When we realized it, we ordered every fast food restaurant nearby. Guests kind of loved it. 3 Lastly and sadly, a very sick mother of the bride passed away at the reception. The bride later told me that her mother was holding on to see her get married, and she did. Kristin Banta: I’m sure there are some juicy, wretched, and dreadfully uncomfortable moments I could share but at this time I cannot recall a specific one. My greatest bloopers have really come down to the elements—when life simply conspires against you like inclement weather or gear that never arrived, crazy clients, freestyling musicians, or instructions lost in translation. Here’s one: I once hired a local team in Mexico to erect a dramatic canopied entrance along the entire length of a winding footpath up a steep hill to a palapa where the event was to take place. They did so and it looked really quite lovely until we discovered that only small children could walk under it as they built it just under four-feet high. I guess I should have specified that it would be used by adult humans. Fortunately the clients were Buddhists and thus I pitched a concept about how we would bow before going into the event just as we would at the entrance of a temple....and then we would just remain in that bowing position all the way up the hill. Nathaniel Neubauer: Mine is a funny story much better told at a bar than in three lines. Now isn’t THAT a great reason to register for Catersource 2019? Who’s your own catering/event/food superhero? Michael Stavros: I’ve had so many over the years. My industry heroes tend to be those professionals who preserve the integrity of their work and produce authentic expressions of their clients’ vision and hopes. At the risk of sounding coy, I’m honored to be sharing the stage with some of them for this session. David Merrell: Another loaded question, as I have many. I would the person in the industry who influenced who I am today as a professional AND a company, is John Daly. He embodied everything that I wanted to be as an event designer and event professional. 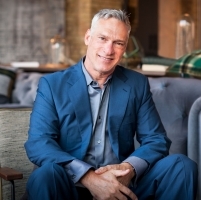 Joe Mineo: Because I consider myself mainly an event designer rather than a planner, my event hero would have to be David Stark out of New York City. Although I’ve only had the pleasure of meeting and talking to David once, following him on social media inspires me with every post. His sense of design is dramatically different from most event designers out there. It can sometimes feel like “I’ve seen it all” but David Stark never ceases to surprise and inspire me with his clever ideas and his unexpected ways of communicating a theme through design and decor. Kristin Banta: I have so many heroes who are forging a path toward excellence and advancement within the event space, but I have a long-standing and very serious obsession with the work of Jennifer Rubell. She successfully merges cuisine with performance art resulting in a provocative and memorable experience for all in attendance. This is far beyond the trite and played out donut wall or serving warm champagne from a performer’s sweaty skirt. Her work focuses on intricate and unique installations, retaining the integrity of the product while being reflective of a higher and more poignant message. Nathaniel Neubauer: I agree with Dave here, the question is loaded. But in a general sense, those caterers that carved the path before us, elevating food and beverage—but even more importantly I honor those newer organizations pushing the limits, asking questions and bringing integrity and creativity to the future. What are you looking forward to most at Catersource 2019? Michael Stavros: Connection...in all forms. Connection with the educational material. Connection with the events. Most of all, connection with talented, innovative, engaging professionals across our industry. At Catersource 2017, Nathaniel introduced me to Kristin and her team. That night’s dinner and ensuing shenanigans led to an amazing conversation about authenticity, and to many more conversations and ideation over the last two years. Love it! David Merrell: The inspiration that I receive from all the brilliant catering/food professionals is the “second part” of my education for the year. It’s what gives me the tools and inspiration for a successful year. Joe Mineo: You might be surprised to know the small things that make me happy, like when I learn about or find something new to use in my daily work. I lose my mind over a new plastic vessel or how I can use that LED light in million different ways. That is just one reason I love attending Catersource. I’m sure I’m going to come home with a suitcase full of ideas! Kristin Banta: Every year my excitement resides in the simple mission which is to gain inspiration. The greatest takeaways for me are always generated through discussion with my fellows—exchanging ideas, thoughts, experience, and perspective. There is no greater way in which we can grow and break through the status quo. Nathaniel Neubauer: Learning! I always like to suggest to our team that attends, that the more intimate conversations you have with others, the more engaged you are, the more you will learn. [I enjoy] seeing our staff come home inspired, and then seeing how the inspiration translates into creativity and action. Come see these heros up close at Catersource 2019 (and hear some of those unpublished stories! They are bound to be juicy!